Normal heart rates range from 60 to 100 beats per minute. Anything above that means blood is racing at an alarming speed through your veins. One person whose blood is pumping with passion in the fight against a deadly health condition, hypertension, is Prof Alta Schutte. Part of the North-West University’s (NWU’s) Hypertension in Africa Research Team (HART), she was recently elected president of the International Society of Hypertension (ISH). This is a remarkable achievement as she is the only representative from Africa ever to take the helm of the ISH. Her eyes light up when she explains what one of the most important tasks in her two-year tenure as president will be. She will head a team of highly qualified professionals and researchers who will define international guidelines for the treatment of hypertension. This will have a significant impact on the management of the disease worldwide and could save countless lives. ISH recently started accepting nurses and community healthcare workers as members of the society. Alta believes this is an important step in combating hypertension. Her smile gives way to a serious expression when she explains that raising awareness is key in the fight against hypertension. People neglect to test regularly because you don’t feel sick when you have high blood pressure. This is the danger — not knowing might just kill you. She says this is why ISH initiatives such as the annual May Measurement Month are so important. Her work as president will take her to different continents, with visits to Australia, Japan, America and Russia on the cards. She smiles as she explains that keeping up the fast pace is for the greater good. It is all about making sure that people’s hearts stay healthy. 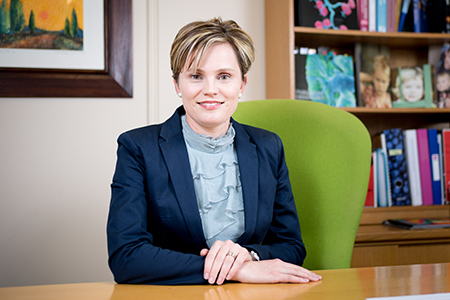 Prof Alta Schutte of the NWU’s HART research team is a seasoned researcher who also holds the Research Chair in Early Detection and Prevention of Cardiovascular Disease in Africa, and directs the South African Medical Research Council Unit for Hypertension and Cardiovascular Disease.